TEMPLE, Texas (AP) — Two Central Texas men have been arrested and accused of illegally killing an 11-foot alligator along the Lampasas (lam-PA'-sis) River. The Texas Parks & Wildlife Department says game wardens arrested 25-year-old Bradley Gillis and 32-year-old James Haffa on Friday. The two Killeen men are charged with misdemeanor taking of wildlife resources without landowner consent. They remain in Bell County Jail in Belton with bonds set at $7,500 each. According to the statement, game wardens learned of the alligator's killing earlier this week, including details and photos posted on social media. The wardens used the same social media outlet to solicit clues leading to the two. Hunters must be licensed, have the landowner's permission and secure a tag purchased upon harvest of the alligator. 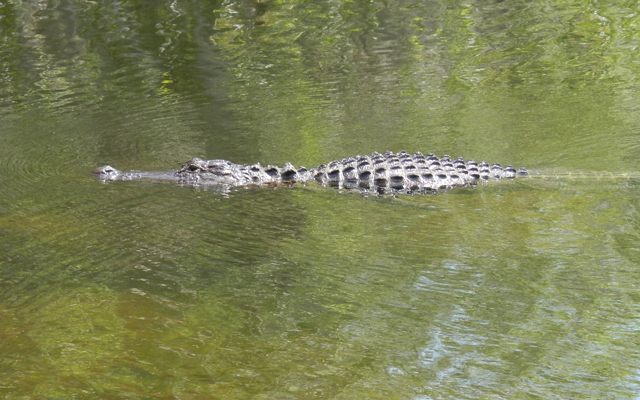 Alligator hunting season runs April through June.